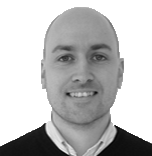 Will scrapping best before dates influence consumer behaviour? June 12, 2018, 8:28 a.m. Recently, Tesco announced that it plans to remove ‘best before’ guidelines from some of its own brand fresh produce in an effort to reduce food waste. But what do consumers think about doing away with this mainstay of grocery labelling? First, the good news. There is general agreement that efforts to reduced food wastage, particularly in the way Tesco is intending, is a good idea. Over half (57%) of consumers believing that Tesco’s strategy will be significant in reducing overall food wastage. Just 32% say it will not be significant. 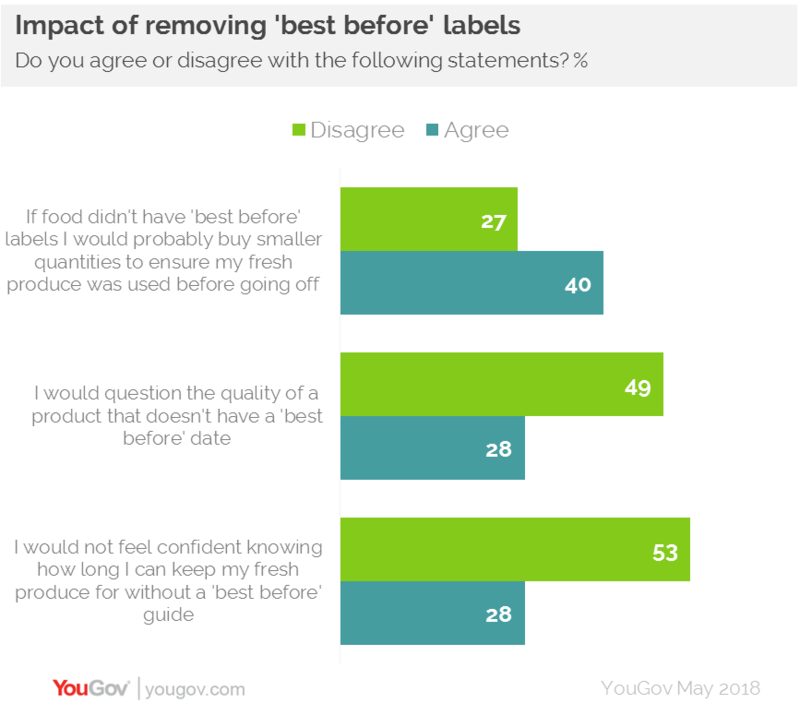 At the moment only 13% of the public believe there is no difference between ‘best before’ and ‘use by’ dates, 74% think there is. This suggests that there is a base level of understanding about the differences, meaning grocery stores will have to do less work educating the public on this issue to begin with. Removing the labels could have notable impact on shopping behaviour. Almost four in ten (39%) say that if food didn’t have ‘best before’ labels they would probably buy smaller quantities to ensure their fresh produce was used before going off. However, there are challenges. Although consumers may be able to see the logic in the decision to remove ‘best before’ labels, our data indicates that they may not necessarily be comfortable in stores without this guide (73% currently use the dates to help them purchase products), which could impact the shopping experience for some. Similarly, while over half (53%) are confident about knowing how long they can keep their fresh produce without a ‘best before’ guide, well over a quarter (28%) are unconfident. This means that many could dispose of food prematurely – thereby potentially adding to food waste. Notably, those in the youngest age group are also the least confident. Close to a third (32%) of 18-24s would not be confident about how long they could keep their fresh produce, compared to 25% of those aged 55+. Similarly, 31% of men would not be confident, against 25% of women. Younger buyers are also less likely than their older counterparts to eat food that has gone past its ‘best before’ date. Over a third (37%) of 18-24 year-olds do so often – significantly less than the 47% of those aged 55+ who do the same. Indeed, 9% of the youngest age group say they never eat food that’s gone past its ‘best before’ date, compared to just 2% of the eldest. Added to this, our data suggests that some customers are concerned about quality. Over a quarter (27%) question the quality of a product that did not have a ‘best before’ date on it and again it is younger consumers that are most concerned (29% of 18-24s vs 24% of those aged 55+). But removing the dates also could dent a retailer’s reputation for quality among some consumers. While approaching half (48%) have no concerns over the quality of a store that didn’t put ‘best before’ labels on their fresh items, over a quarter (28%) do. In doing away with ‘best before’ dates, grocery stores are taking a notable step that could make some consumers approach food shopping in a different way. Our research suggests that they need to work hardest to educate younger consumers as they are the ones most likely to feel unconfident about the change. The other danger is that while the policy is limited to own brand products it could push confused consumers to branded fresh items, where they’ll have the safety net of printed best before guidance.